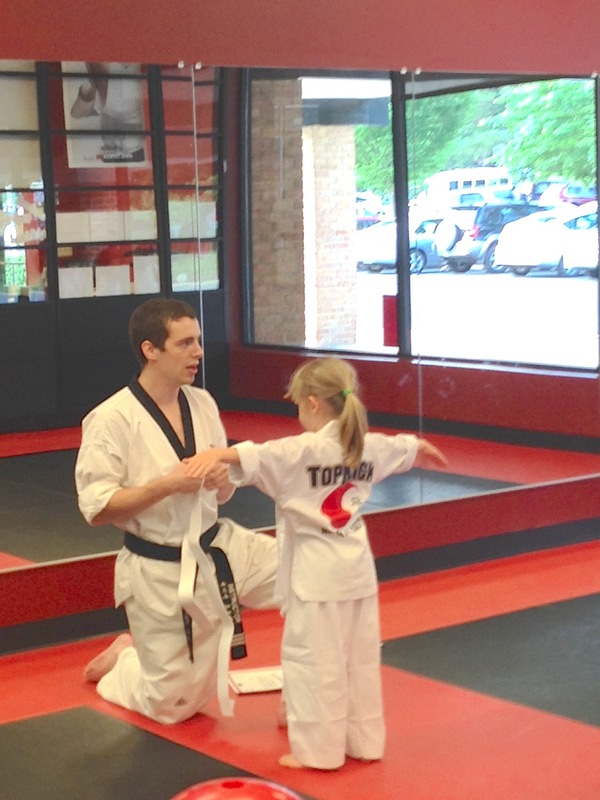 Miss H has been asking to take ‘karate’ for the last couple months and we started her in a class a few weeks ago. She loves it! At first, even though she had been asking to go, she decided that she was not really that interested. 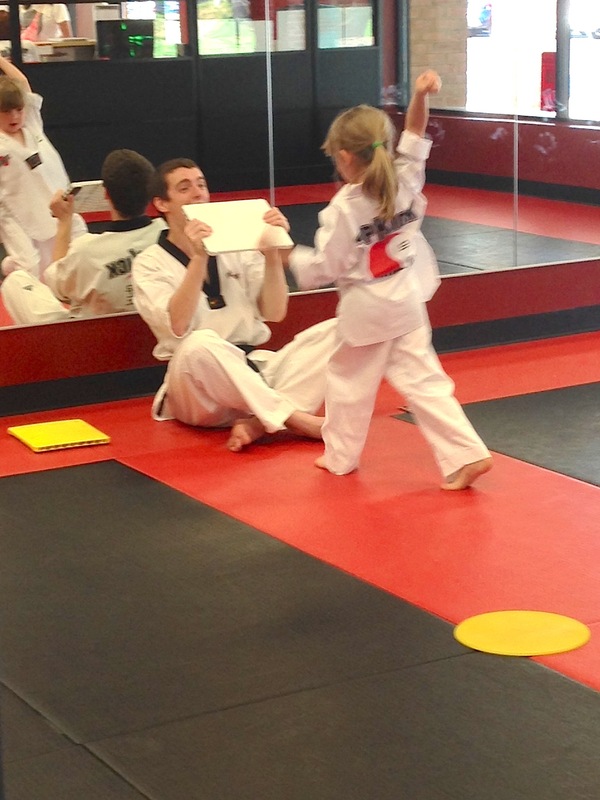 We convinced her to go to the first class and now, it might be the highlight of the week. 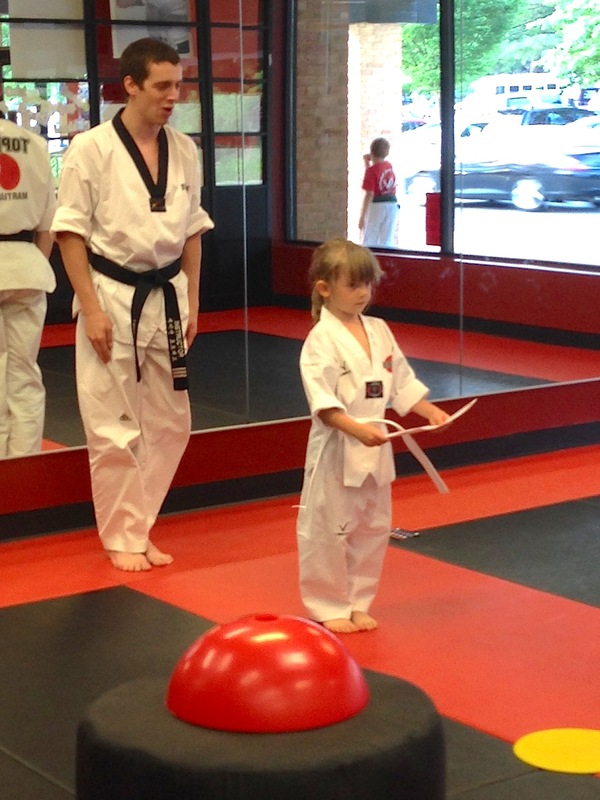 She got earned her first belt on Wednesday. It was a huge deal (and very serious) with the belt, a speech from the teacher, a round of applause of the other students and a certificate.